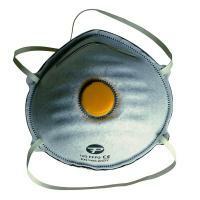 Odour Valved Moulded Disposable Masks FFP2 range of different sized odour moulded disposable masks. Light weight and comfortable with elasticated straps for a perfect fit. Hygienic and hypo-allergenic. RP09 10 Masks per Box.